Beatriz da Costa, our colleague from UCI in art/engineering/politics/critical theory, who was also a HistCon graduate student, died on December 27, 2012, in New York City from complications of metastatic breast cancer that had moved to her brain. 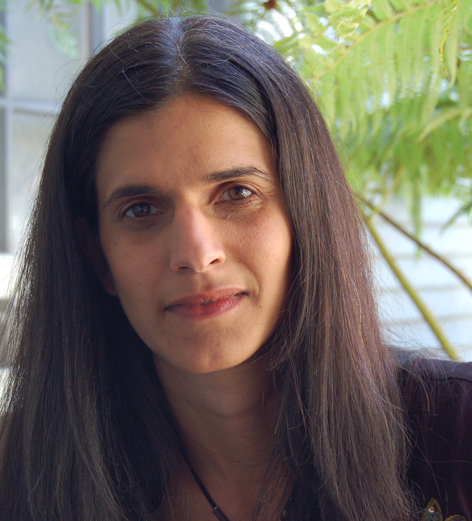 When she was newly tenured at UCI, Beatriz wanted the space to write about art activisms and critical science studies, and so she used her sabbatical year from her department at Irvine to become a graduate student again in order to have a rich context to read deeply in new materials and to write. She came to HistCon in Fall 2007. She was writing her QE when she took leave from HistCon to meet the intense and growing demands of her teaching, graduate advising, and research at Irvine. She was an Associate Professor of Studio Art, Electrical Engineering and Computer Science at the University of California Irvine, and most of her teaching was in the Arts, Computation, Engineering (ACE) graduate program. Some of her better-known projects include works done in collaboration with Critical Art Ensemble, for example, "Molecular Invasion," "Free Range Grain," and "GenTerra"; several done with Preemptive Media such as "Swipe," "Zapped," and "Air"; and "Pigeonblog." With Kavita Philip, she co-edited and introduced the influential book, Tactical Biopolitics: Art, Activism, and Technoscience (MIT Press, 2008). Beatriz's important essay in that book is "Reaching the Limit: When Art Becomes Science." See http://www.beatrizdacosta.net/. And then, beginning in 2009, a diagnosis of metastasized breast cancer changed everything. She moved to NYC, where she felt more at home and had better medical options, got a fantastic labradoodle puppy named Lucinha, who flew with her everywhere as her personal companion & therapy dog, and continued to work on myriad projects until a few days before she died. Beatriz's last work, "Dying for the Other," was done while she was undergoing surgery and chemotherapy. The 3-part video is a fascinating triptych, with one stream of images set in a mouse lab where the mice are research animals bearing the same kinds of cancer Beatriz suffered from. Almost all of her work brought other critters (plant and animal), social justice and environmental activists, scientists & engineers, artists, and other intellectuals together around critical questions of suffering and well being. "Dying for the Other" will be shown at Los Angeles Contemporary Exhibits on April 17. Tying this piece to the core concerns of Beatriz's internationally respected and very diverse work, Alex Juhasz, Catherine Lord, and Donna Haraway will comment. Emma Goldman is my guide to feeling in the teeth of the loss of this 38-year-old vibrant, fierce, publicly engaged, talented woman, who was also my student, friend, and teacher.